Sixth annual Cartoonist Studio Prize: call for entries. This spring, two cartoonists will follow in the footsteps of Chris Ware, Noelle Stevenson, and Eleanor Davis. 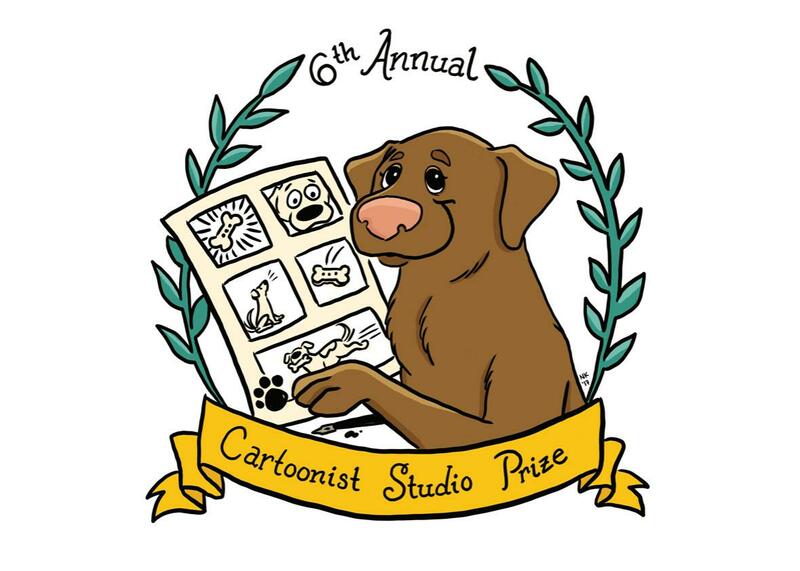 The Slate Book Review and the Center for Cartoon Studies are proud to announce the sixth annual Cartoonist Studio Prize! Each year the Cartoonist Studio Prize is awarded to two cartoonists whose work exemplifies excellence in cartooning. It aspires to celebrate the best work in the medium. Both established creators and new voices are encouraged to submit. (Last year’s winners: Eleanor Davis and Christina Tran.) The creators of two exceptional comics will be awarded $1,000 each. Winners will be selected by Slate’s Jacob Brogan, the faculty and students of the Center for Cartoon Studies (represented by Kevin Czap), and this year’s guest judge: Andrew Farago of San Francisco’s Cartoon Art Museum. The two award categories for the Cartoonist Studio Prize are Print Comic of the Year and Web Comic of the Year. Finalists for each category will be announced in early March. The two winning comics will be announced in early April. Eligible print comics must be written in (or translated into) English and published between Jan. 1, 2017, and Dec. 31, 2017. Creators or publishers may submit a print comic for consideration by clicking here. Eligible web comics must be written in (or translated into) English and published online between Jan. 1, 2017, and Dec. 31, 2017. Creators or publishers may submit a web comic for consideration by clicking here. Submissions in both categories must be received by Jan. 31, 2018. Currently enrolled CCS students and faculty are not eligible for the award. Creators may submit one—and no more than one—work in each of the two categories. The judging panel reserves the right to consider work that was not officially submitted. Jacob Brogan writes for Slate and other publications. Andrew Farago is the curator of San Francisco’s Cartoon Art Museum. Kevin Czap is the Center for Cartoon Studies 2017–18 fellow. They run the micropress Czap Books.